This Ring, the MR4101, is made of 14kt Rose Gold, and has 51pt Diamonds with a 6mm Round Center. This ring is available in many stone options. 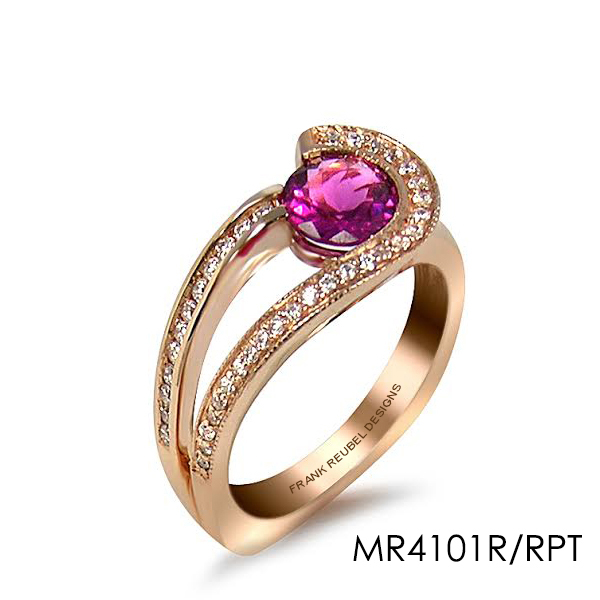 The picture shows here a MR4101 in 14kt Rose Gold, Diamonds and a Rubellite Pink Tourmaline.